A 7 January order wrongly said Anil Ambani was exempt from personal appearance in court in contempt case. Inquiry reportedly says order 'tampered' with. 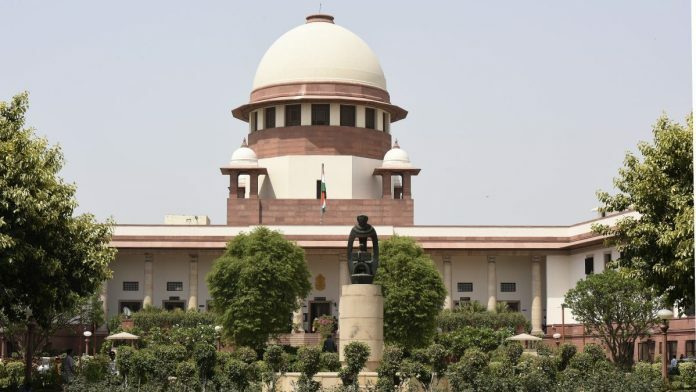 New Delhi: The Supreme Court Wednesday dismissed two court masters for uploading a judicial order which wrongly stated that industrialist Anil Ambani was exempt from personally appearing in court in a contempt case, said a report. Chief Justice of India Ranjan Gogoi, who is also the administrative head of the top court, sacked assistant registrars Manav Sharma and Tapan Kumar Chakraborty late Wednesday for allegedly “tampering” with the court order, said a report in The Telegraph. Court masters are officials in charge of taking down orders that are dictated in open court or in the judges’ chambers. On 7 January, while adjudicating the issue of a contempt matter filed by Ericsson India, the bench of Justices Rohinton Nariman and Vineet Saran had directed Ambani to be personally present in court. In contempt cases, the person who is being charged must be present in court unless it decides otherwise. Ambani was present in court on 12 and 13 February according to the 10 January order. According to the report in The Telegraph, the omission of the word “not” in the order wasn’t accidental. A preliminary inquiry of the incident suggested that the order was allegedly “tampered” with, the report said. So Gogoi invoked Section 11(13) of the Supreme Court which empowered him to dismiss an employee under “extraordinary” circumstances without normal disciplinary proceedings. When the matter initially came to light, it was revealed that the 7 January order was uploaded online without the knowledge of the two judges. The inquiry will now “get to the root of the entire issue” and attempt to identify those involved with the alleged tampering. The Telegraph’s report said that advocates may also come under the scanner. Last year, Ericsson India had filed a contempt case against Ambani’s Reliance Communications Ltd (RCom) to recover dues amounting to Rs 550 crore. On Wednesday, the top court reserved its verdict in the case after a day-long hearing.